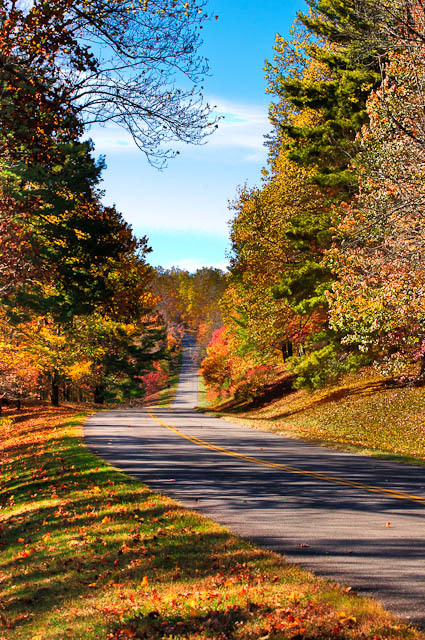 If I were to go back to this same spot on the Blue Ridge Parkway in Virginia, where I was a few days ago, I’m sure all the leaves would either be on the ground or a dull brown color. Still, the day I was there it was really hit and miss for me, color wise. I finally found a spot that was close to what I was looking for, and as a side benefit, I had the parkway free of traffic…which was pretty heavy that day. This is beautiful, scenery and Your photo.